The Dragone MTL Flail Mower is a professional machine designed for constant commercial use on grass areas and scrub land. Flails are mounted in a spiral around the rotor tube for a smoother drive and a finer finish. The forged steel hammer flails give an excellent finish on grass but have sufficient weight to tackle heavier growth on scrub land. 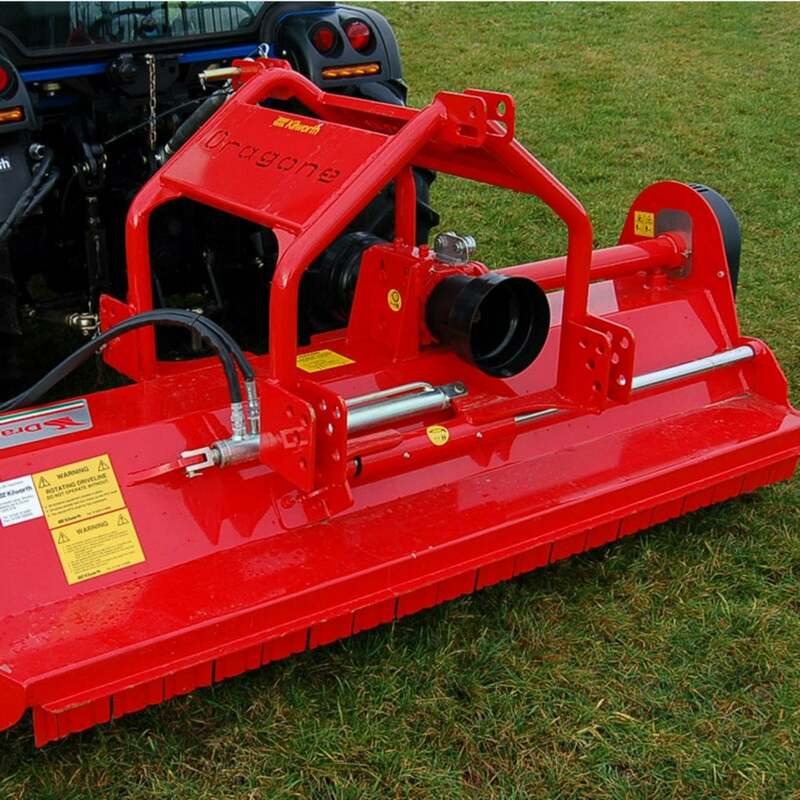 The machine is fully enclosed for safe operation whilst allowing cut grass to exit easily. The rear roller which is adjustable to suit the height of cut has side anti-scalp skids and a mulching bar is integrated inside rotor.